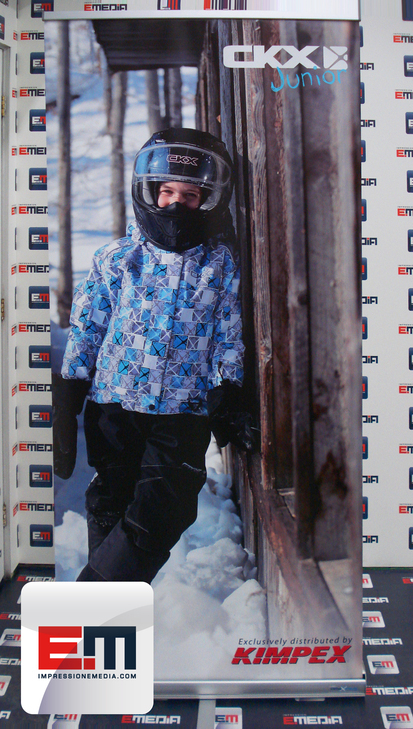 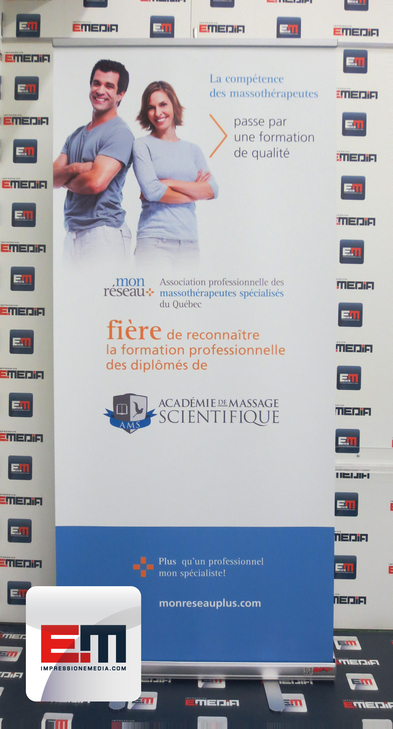 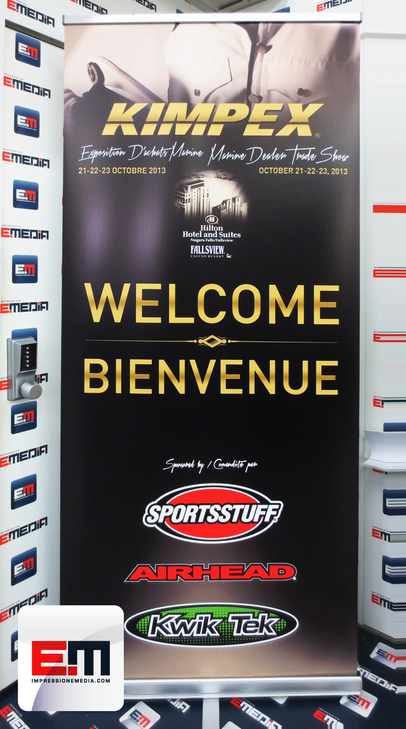 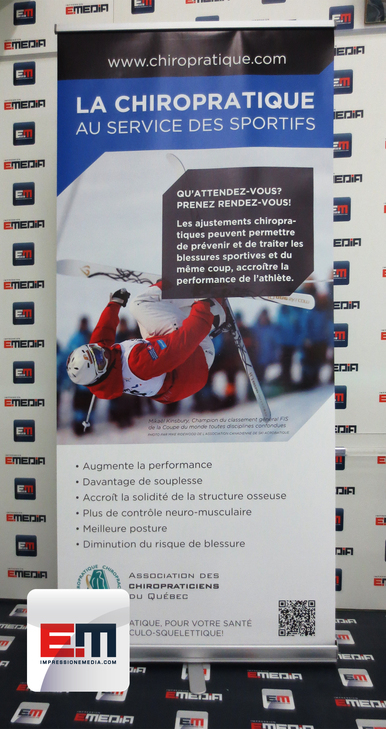 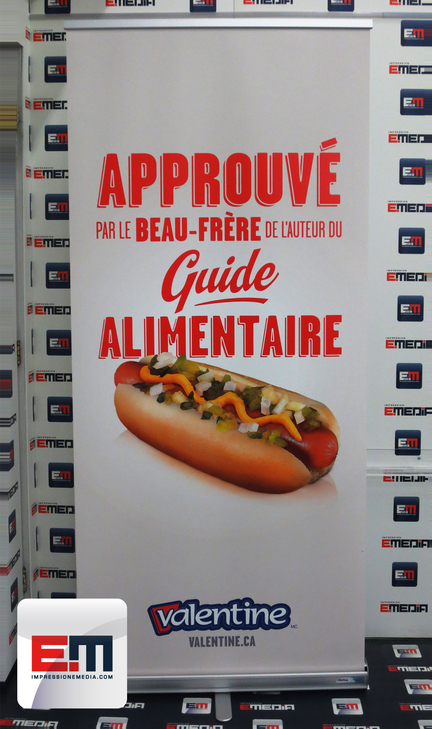 Probably one of the most popular products for events, fairs and exhibitions, the Roll Up is a must for your booth. 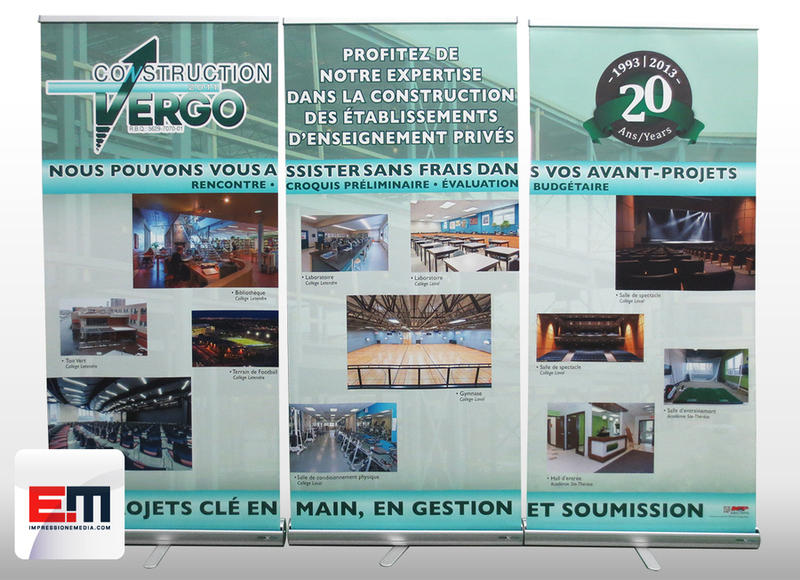 Elegant, simple and easy to use, its installation requires no tools. 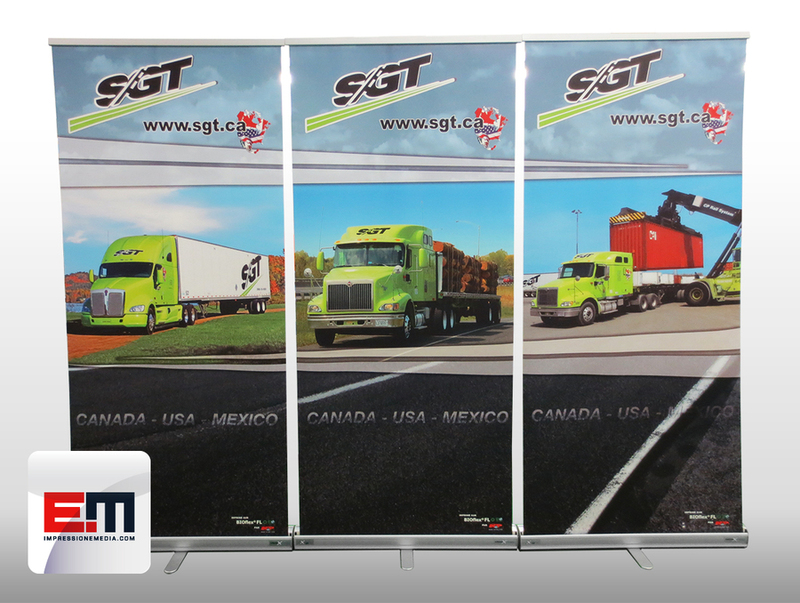 The system is made of aluminum and contains a three-piece retractable pole for quick installation, ease of storage and transport (carrying bag included). 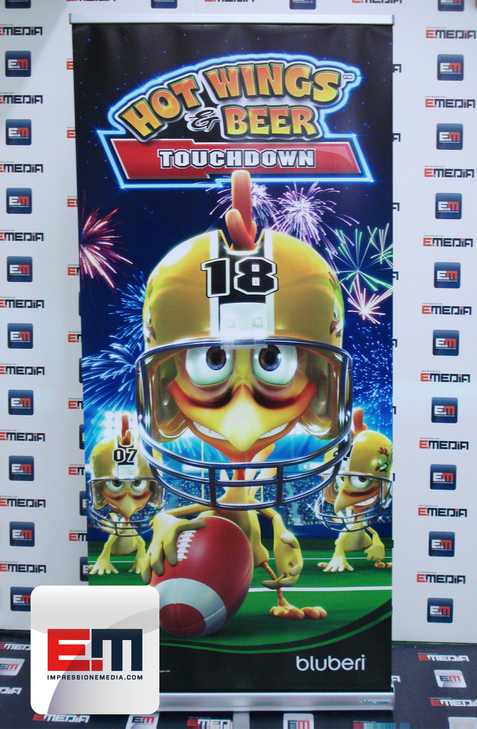 Print EMEDIA offers a choice of two different product ranges. 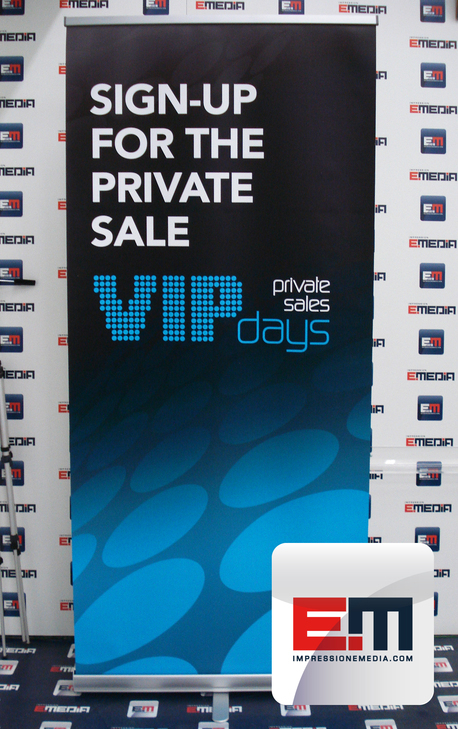 If you want a premium product for a long term use we suggest the Luxury. 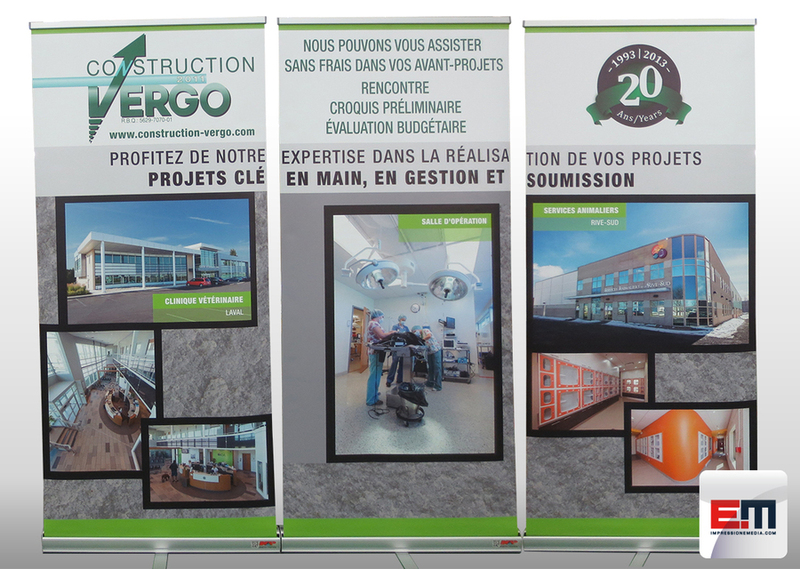 However if you plan occasional use and want a better quality/price ratio go for the Econo. 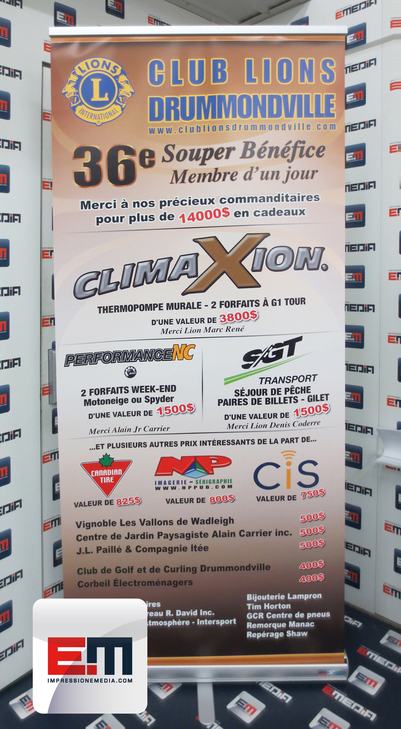 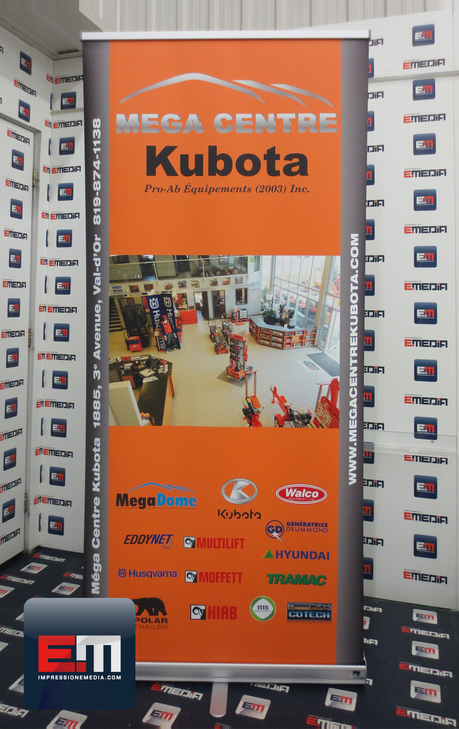 The banner is digitally printed on the front side with our Océ UV printers. 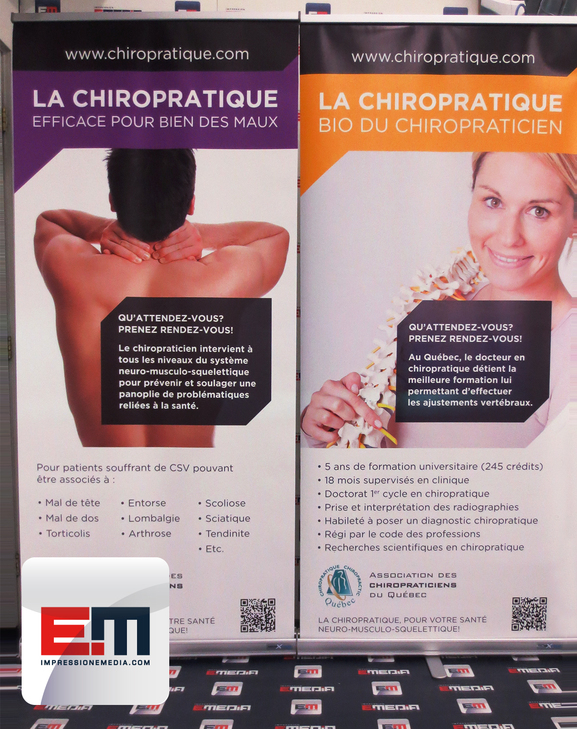 For a high frequency use we suggest a 13 oz banner material or if you need a better quality/price ratio opt for a synthetic paper. 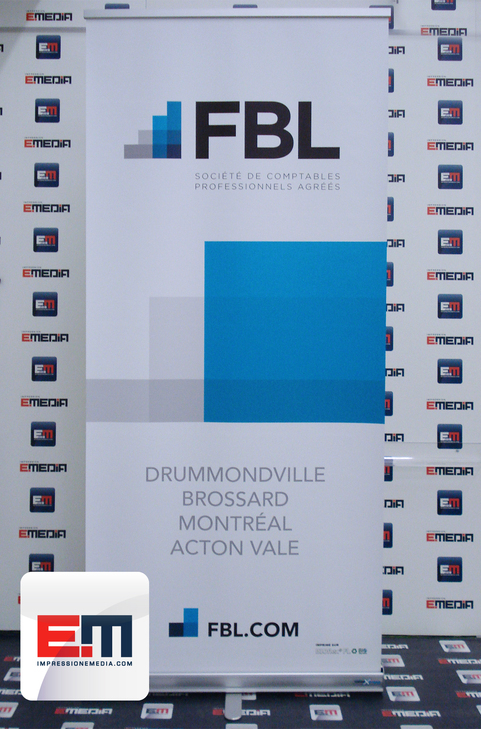 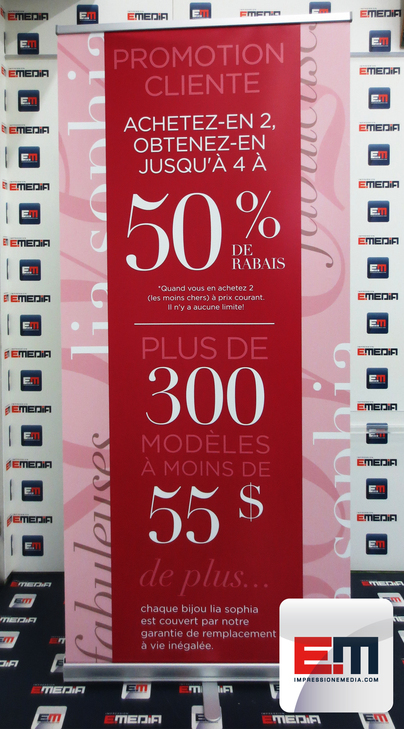 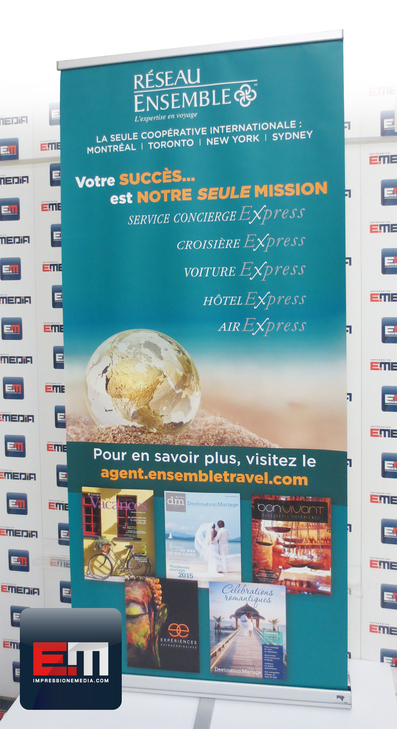 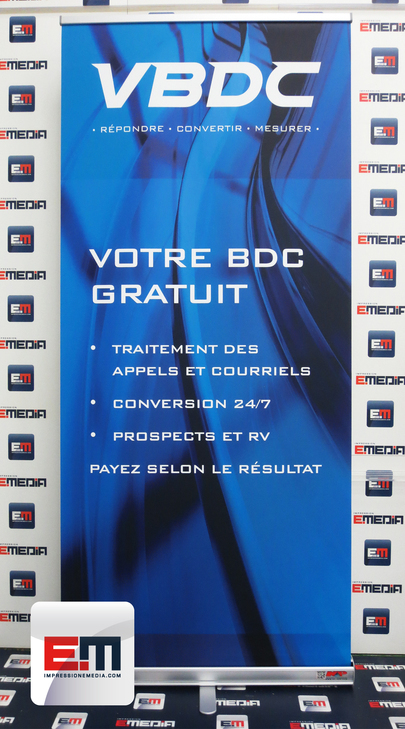 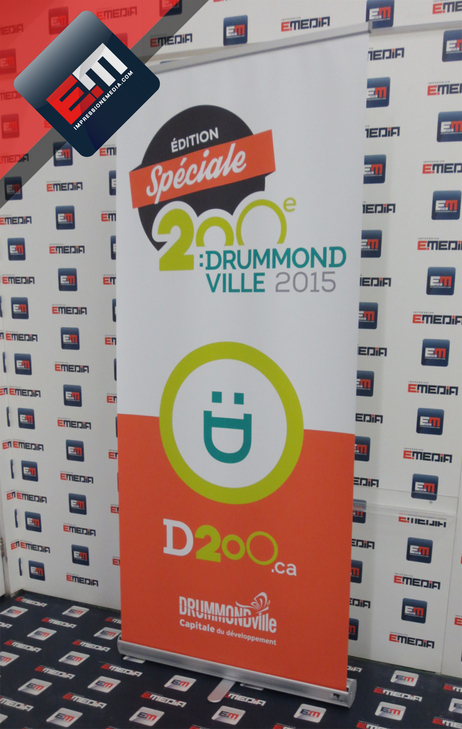 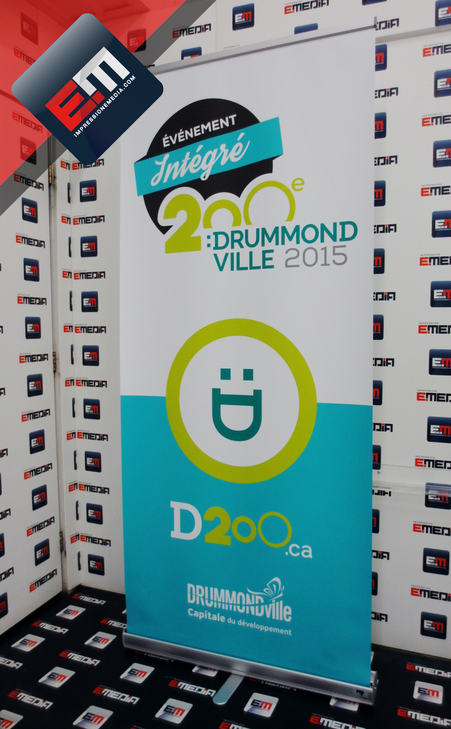 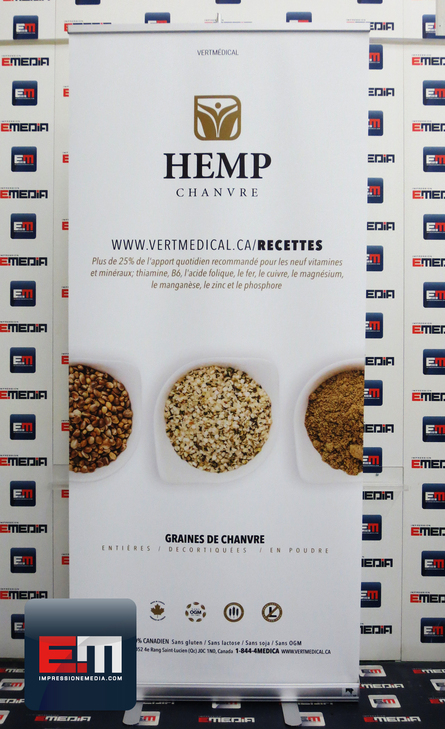 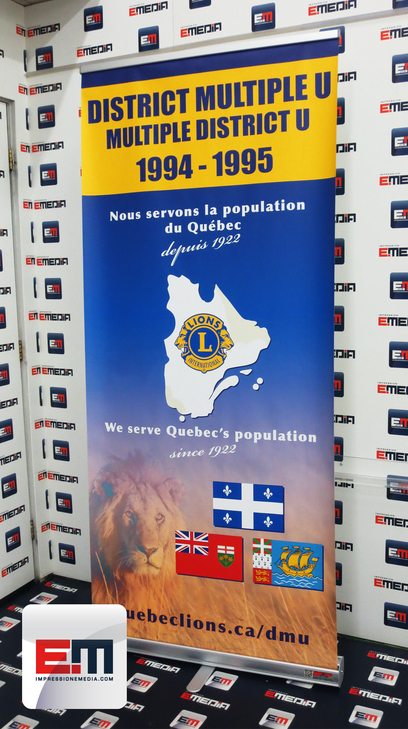 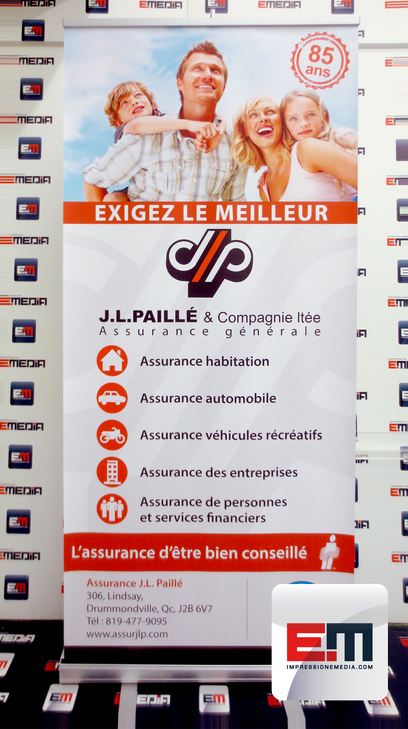 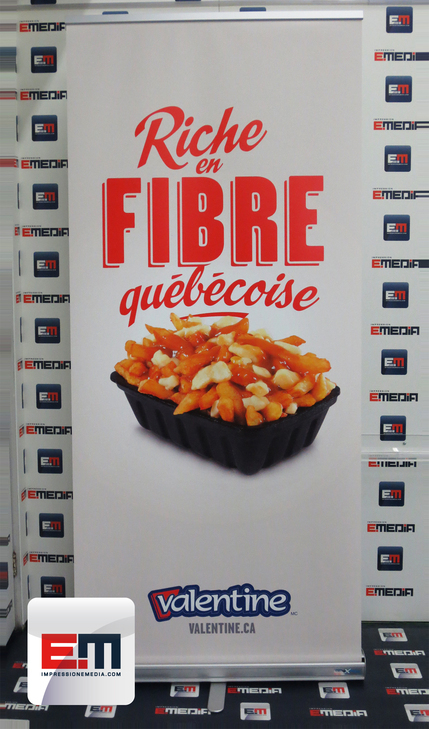 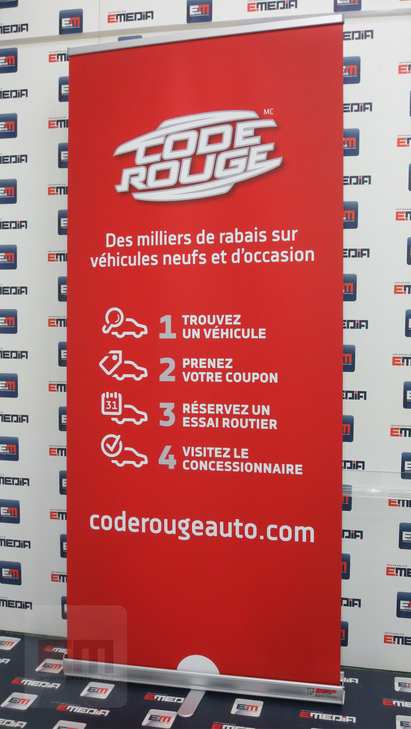 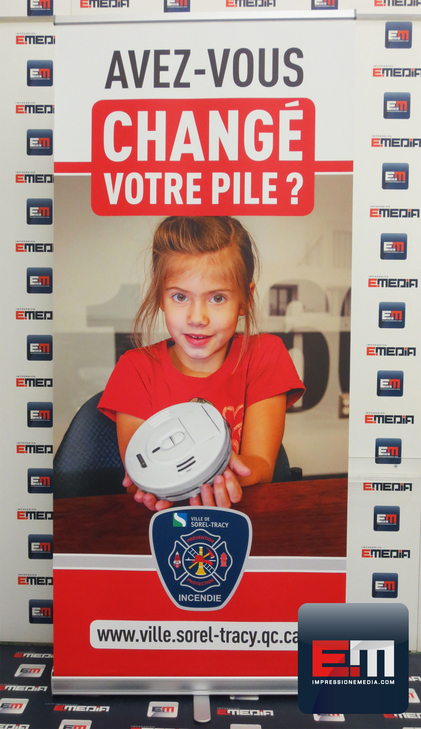 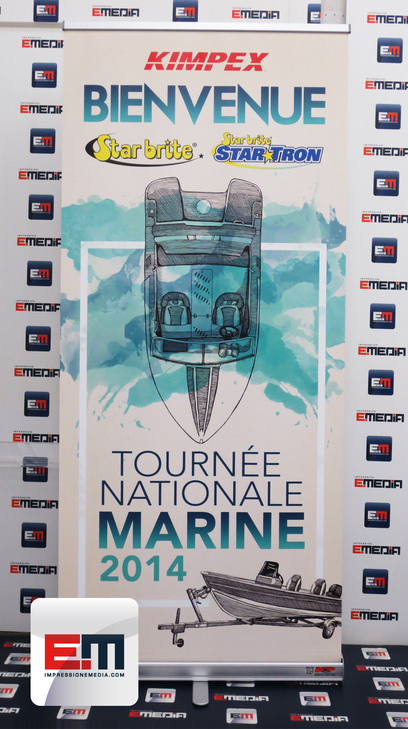 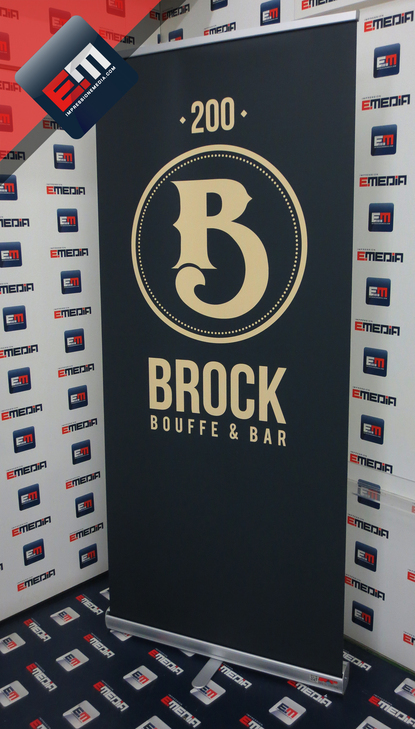 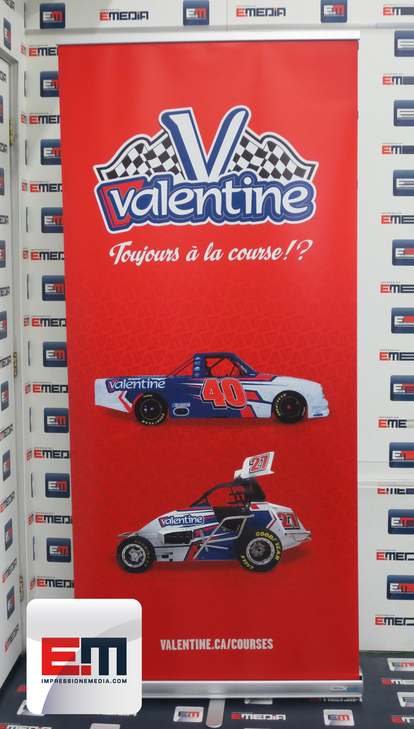 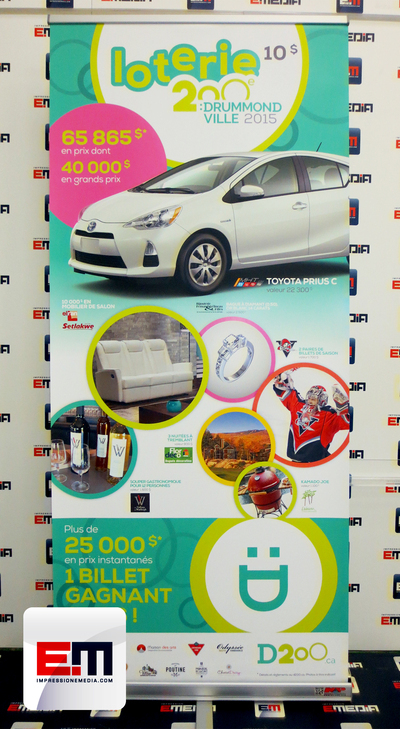 Lightweight, affordable and easy to use show off your corporative image with a Roll up Print EMEDIA. 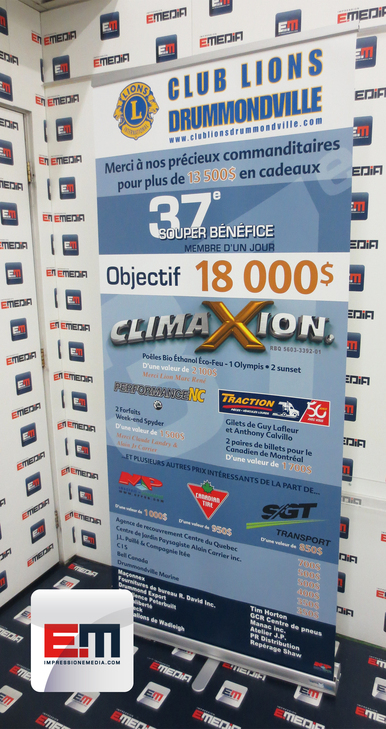 Please follow the instructions on the template for printing the poster of your retractable banner (Roll Up).